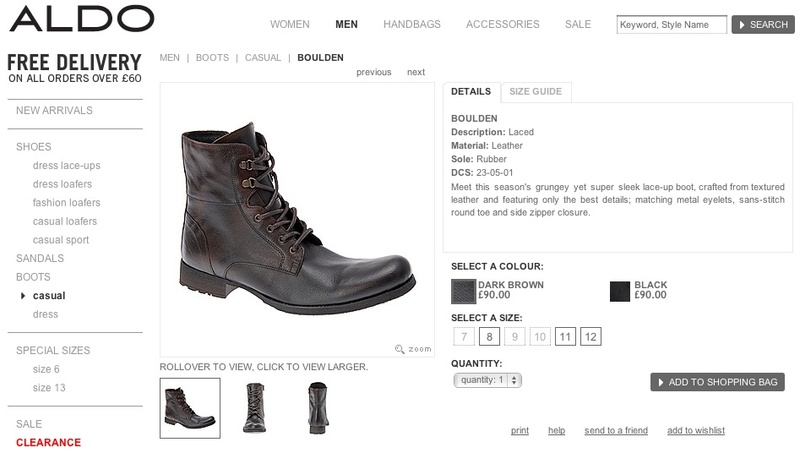 This week I helped a friend in the US get a pair of the River Island Double Eyelet Boots, since they do not ship outside the UK. Here are his views and comments now he has received them. 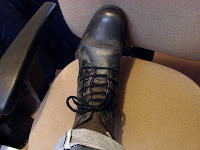 Thanks to a particularly awesome UK based member here, my pair of River Island double eyelet boots arrived today. If anybody was on the fence about getting a pair of these, I’d say go for it. The pictures warranted the ridiculously overpriced Tom Baker socks. Once you get the strangely oversized tongue tucked in place, they’re incredibly comfortable. 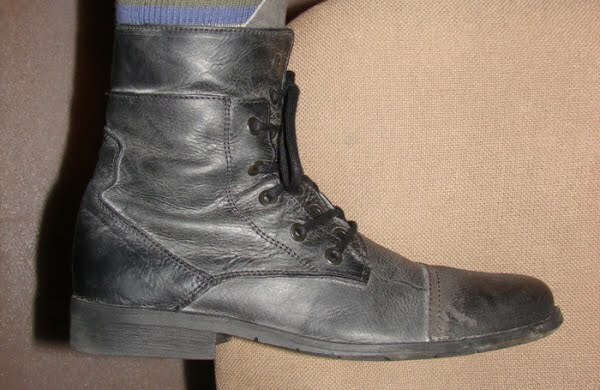 They’re made with a nicely broken in predistressed leather, so they’re soft from the minute you take them out of the box. I'm not particularly planning on doing an 11 costume, but the boots look so cool I had to get a pair. 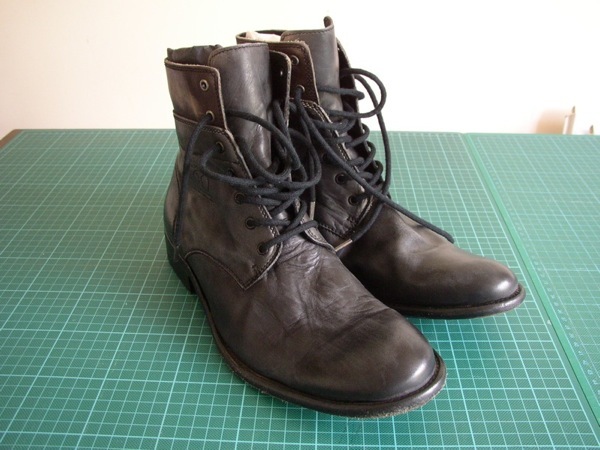 In my opinion these are way better looking than the All Saints boots, and the sole is rubber with some really nice grips, so no slipping. 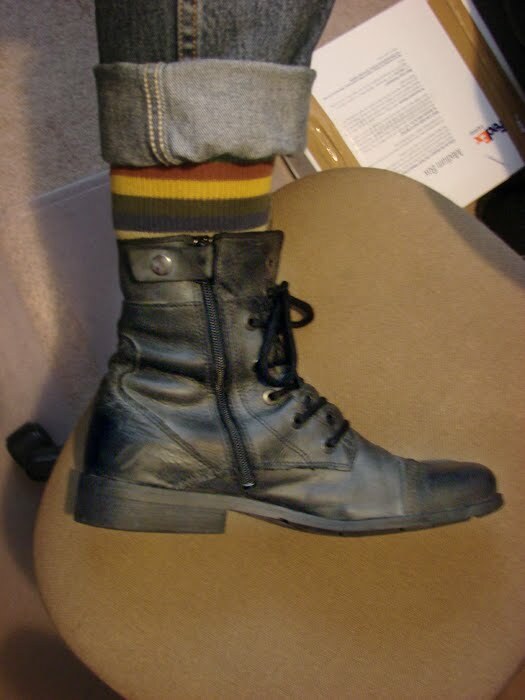 I like just about everything about them, except they only look good with tight pants, which contradicts the recent switch I made to never wearing tight pants again, haha. I’ll just have to find a compromise. After everyones excitement of find the Paul Smith PS shirts last year in burgundy and blue; then the discovery of another shirt in blue, but with more screen-accurate cuff; there now comes yet another variation!! 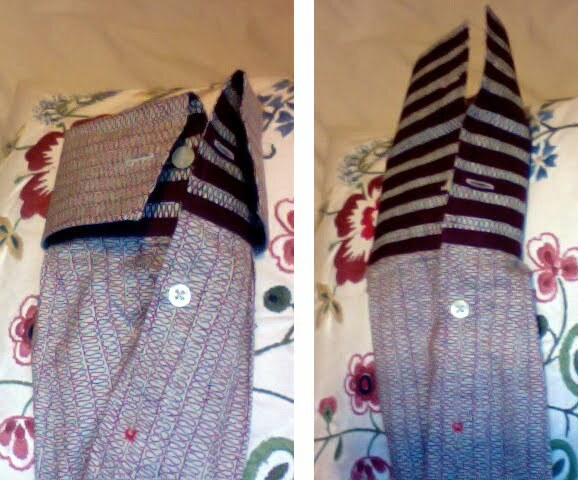 This time it has cuffs with stripes, but these cuffs are french-style cuffs, intended for use with cuff links, though there does appear to be a button to do them up with as well (see below, left). Paul Smith shirts often like to have little hidden details that only the wearer knows about and can see. 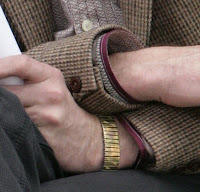 The striped fabric is on the inside of the french-cuffs, and when worn conventionally cannot be seen (see above, left). They could be folded inside out to display the stripes, though it would make them a bit bulky. 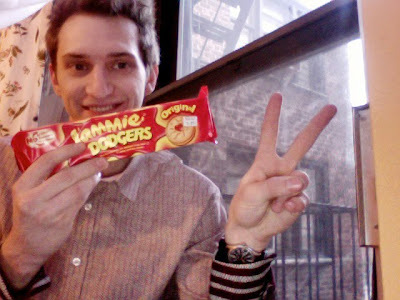 Thanks go to Ryan for sending me the pictures and sharing with us his amazing find. 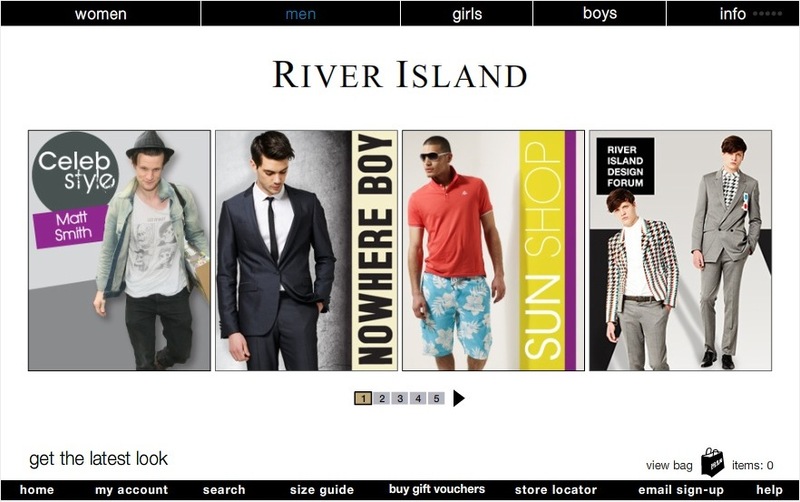 River Island seem to be featuring a lot in my blog this week. 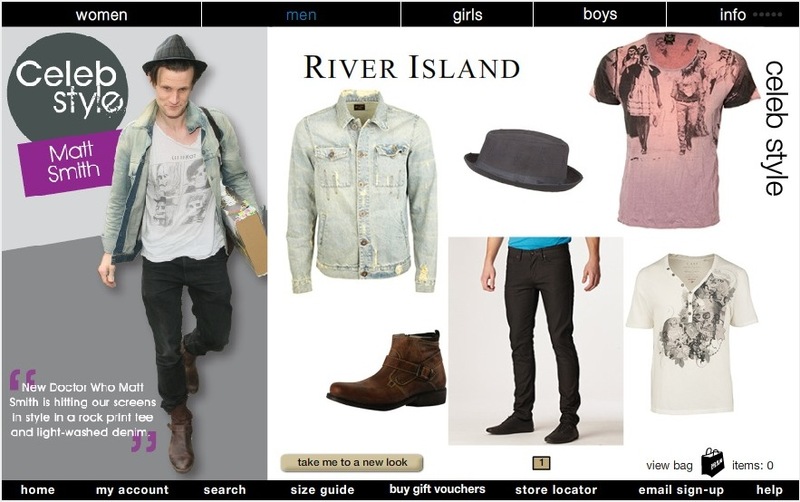 After buying a pair of their Double-Eyelet Boots as a stand-by for my All Saints ones, they are currently running a Matt Smith related feature on their Website, thanks to a good spot by Gallifrey Base member CultOfSkaro. Their site is totally flash-based, so I can’t give you a direct link, but if you go to the MEN heading in the menu bar, and choose GET THE LATEST LOOK, you should be able to find it (see above). In case they take it down off their site in the future, here is a grab of it so you can see it. 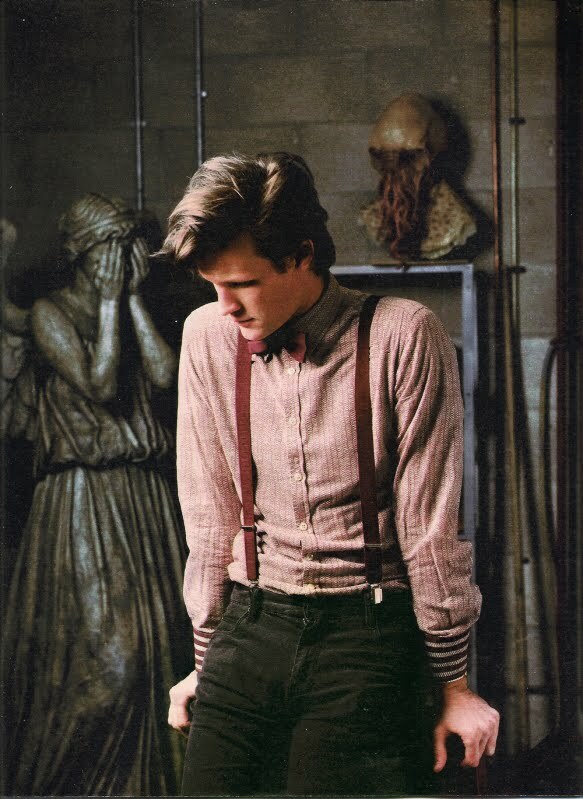 As the broadcast of the first Matt Smith episode drew nearer, we started to get more publicity images of Matt in costume. 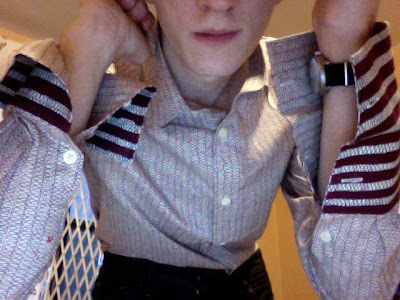 The only image til now that showed the cuffs on the burgundy shirt had the jacket over the top, so it was only possible to see the edge of the cuff and two stripes burgundy around it (see right). At this point it was thought that the sleeve straps had been butchered and adapted to modify the cuffs, which at the time made sense. 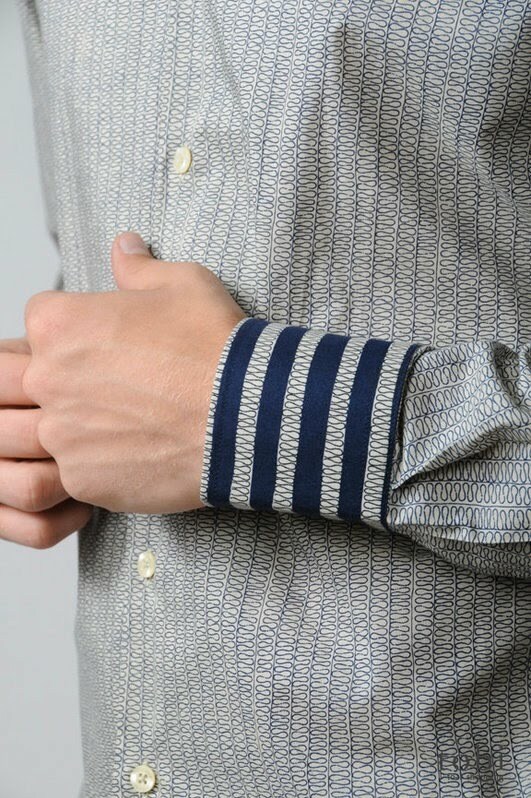 Later, through a reader of my blog, I found another variant of the shirt in the blue, which appeared to have a lot of the modifications needed already done – and the cuffs were pre-striped into the bargain. The stripes, however, covered all of the cuff, not just a couple around the edge (see left). This had caused a flurry in the forums, as it started to look like I had acquired a more likely Paul Smith shirt compared to what had been found to date. 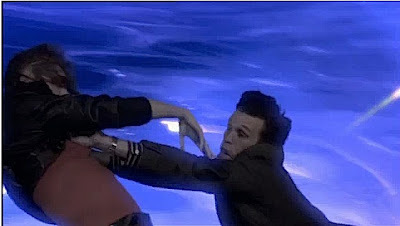 A clue to confirm this then appeared a few weeks later in the 3-D trailer, where it was very briefly possible to see that the blue shirt had more than just a couple of stripes on it (see below). My new shirt was looking more and more like the real thing. But we still had not seen all of the cuffs on the burgundy shirt. Could this be fully striped too, like my blue shirt? Then finally, as the broadcast of the series drew even closer still, one particular image published in The Sunday Telegraph Magazine caught my attention (see left). 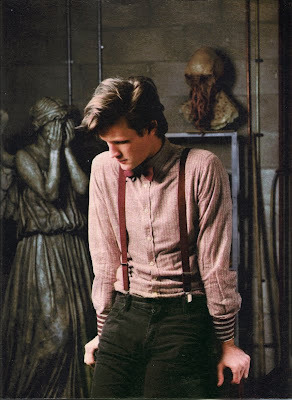 It shows Matt wearing the shirt, but without the tweed jacket, so for the first time we got to clearly see the cuffs, and yes, they were just like the blue shirt I had! There was then some criticism of those who had done the sleeve strap modification, saying it was all wrong – which in truth it was. However, the straps are not that long, and even when pressed out fully, they only gave enough fabric to add two stripes around the cuffs. It would never have been possible to add stripes to the entire cuff using this method. This calls for a plan B. Since starting this blog, I have been contacted by a number of people seeking to begin or complete their Eleven outfits. As I have outlined, many of the items making up the costume are off the peg and at the time of filming were relatively easy to obtain. But that’s only if you were looking at the right moment, which has annoying passed most of us by. 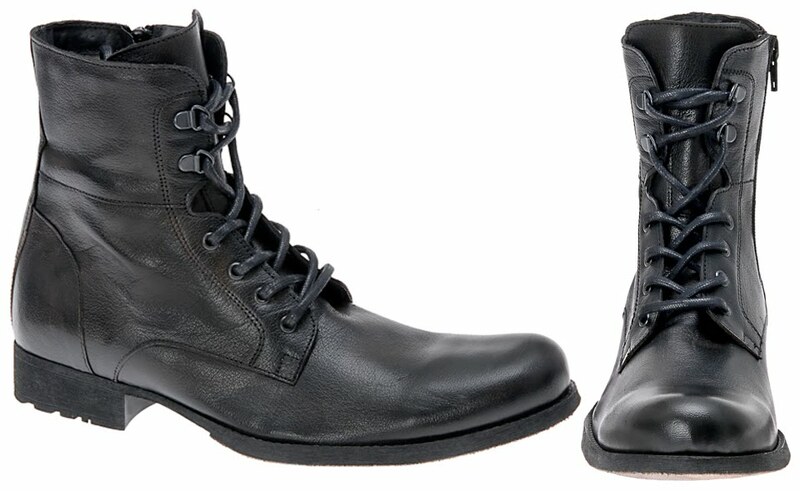 One of these was the All Saints Boots, which apparently were a personal choice by Matt Smith himself. 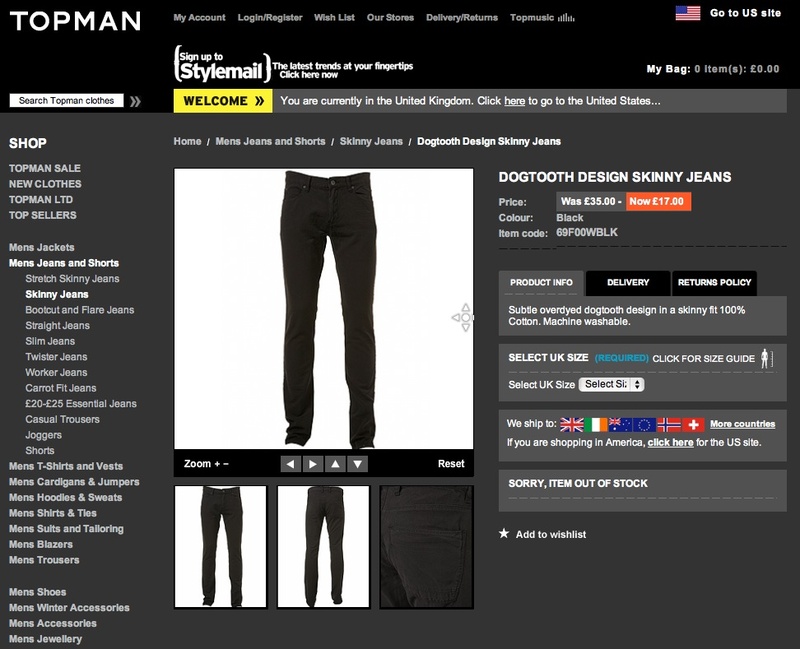 Now discontinued (I only got mine by the skin of my teeth), they are however, part of the trends and fashions that were seen in the 2009/2010 season, and were not as a concept exclusive to All Saints. These hob-nail style boots, with pre-worn leather and waxed laces have been included in the collections of some other high street retailers, though to varying designs. Below are some of the boots found by other cosplayers, which may prove to be more readily available and form a reasonable next-best option if you didn’t manage to grab the All Saints boots at the time. 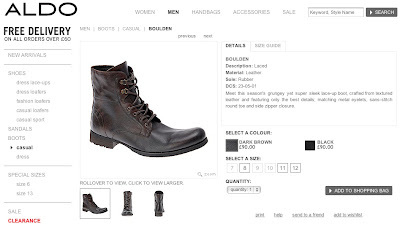 These boots are reasonably priced and at present available in both the UK and the US. 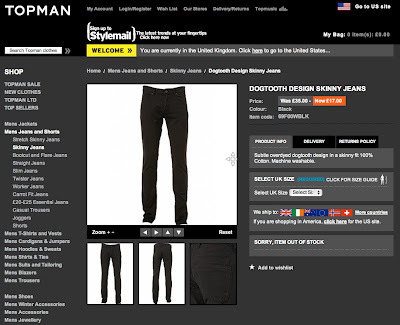 They come in a choice of Black (see above) or Dark Brown (see below).